Institute of Banking Personnel selection (IBPS) conducts banking exams for SO, PO and clerk posts of 22 PSU banks and EXIM bank. Most of the applicants apply for PO and Clerk examination and appear for thousands of vacancies. IBPS has changed its exam pattern from 2015 onward. Now, the examination is divided into 2 exams- (1) Preliminary examination; and (2) Main examination. 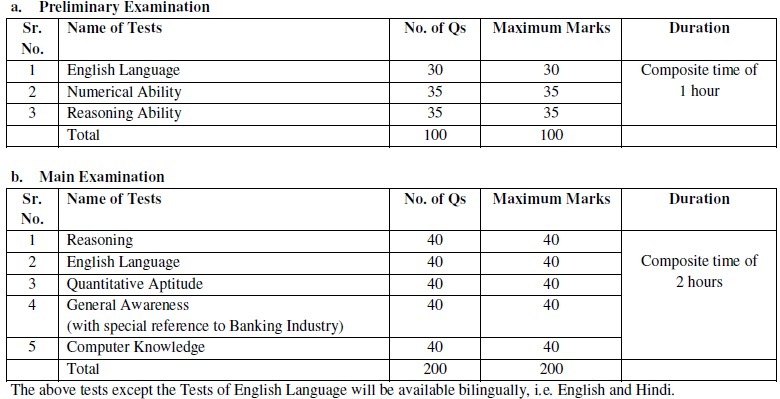 The Preliminary exam will be of qualifying in nature, and only Main exam marks will be evaluated for Merit and Main+Interview Mark in the ratio of 80:20 will be evaluated for Provisional Allotment list. Also Read: IBPS Marks evaluated for Final List. - Here is the examination scheme and time duration. You can see more weight-age is given to Reasoning and Quantitative Aptitude sections in Main examination. So, prepare them well for the examination. Also Read: How to attempt Main exam of IBPS PO. - Here is the exam pattern of Prelims and Main examination. You can see the Main examination of clerk is different and equal weight-age is given to each section. So, you greater chance to score. Hence, the cutoff goes higher for the clerk examination. - Every banking exam for any posts, is conducted Online means candidates have to click on the appropriate and correct option to answer. Each question will have 5 options compared to 4 options in other Government or SSC exams. The candidate can switch among any of the 5 sections and can also switch from any of the question from 1-200. So, there is no bound on the candidates which question has to attempt. The only thing is that one needs better practice to complete the text with accuracy and speed. Reasoning Section: This section is considered to be tough compared to the reasoning section of SSC exams. So, one has to focused while preparing regarding this exam. This section will have questions from- Alphabet test; logical reasoning; Analogy; coding & decoding (5 mark); blood relation (5 mark), distance (0-2 mark); direction (0-3 mark); inequality test (5 mark); sitting arrangement (5 mark); syllogism(5 mark); puzzle; input-output (5 mark); decision making or data sufficiency (5 mark); Statement and argument (5 mark); Statement and Conclusion (5 mark). English Language Section: This section is of different levels in clerk and PO exams. In PO exams, Comprehension passages will be asked of good difficult level. Whereas, in clerk exams, the stress on given on Close test. The questions will be asked from topics- Common errors or spotting the error (4-5 mark); Fill up (single blank); Fill ups (double blank); Arrangement of sentences or Jumbled up sentences (5 mark); Commonly misspelled words; Phrase substitution; Idioms/phrases; Synonyms and Antonyms; Comprehension test (10 mark); Close test (5-10 mark). Quantitative Aptitude Section: This section also differs for Clerk and PO exams. In PO exams, more question from Data Interpretation (pie-chart, bar graph, line graphs, mixed graph) are asked and takes more time to calculate. Whereas, in clerk exams, speed, is required as the questions from Simplification and Arithmetic topics are more asked. The topics generally have to prepare- Number Systems; HCF & LCM; Simplifications (5 mark); Square root and Cube root (only Clerk exams); Time and Work; Time and Distance (2-4 mark); Mensuration (2-4 mark); Permutation and Combination; Probability; Ratio proportion; Profit and loss; Simple Interest and Compound Interest (2-4 mark); Data interpretation (10-15 mark). General Awareness (Banking-related and current affairs): It is difficult one in terms of preparation. There are endless current affair topics which one has to prepare. I have also discussed a blog on GA section (Click here- Tackle GA section in Banking exams) with referring aspirants experience so that you can prepare your strategy accordingly. The questions are asked from topics- Currency and Capital (2-3 mark); Full forms; Important dates/Events; Ministers and their departments; Government policies and Schemes; Budget and Economic Survey (If held within last 6-8 months); Indian Economy; Banking and Economic terms (Repo rate, MSF, reverse repo etc); Share Market; Indian organizations and their full forms and headquarters; International Organization, their full forms and headquarters; RBI and its related news; Government formed Committees especially from Banking related; Awards, Sports and related events; Deaths of important persons; Books and their Authors; Other important Current Affairs especially happened in last 6-8 months from the examination. Computer Knowledge: It is the easiest section among all sections, especially from engineering background. The pattern and marking scheme is different in Clerk and PO exams. 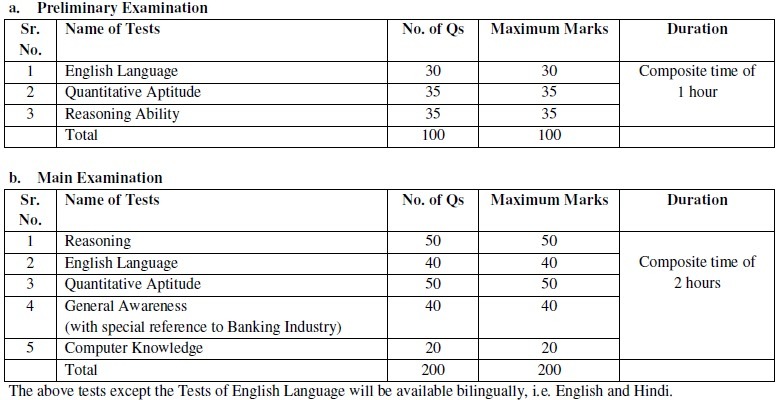 In PO exams, only 20 marks of Computer knowledge questions are asked and whereas, in clerk exams, 40 marks of CK questions. The basic questions are asked from the topics- MS office and its commands and keys; Operating Systems; Software; Hardware like input-output hardware; Basic knowledge of Internet like homepage, file transfer etc; E-mail system and its related terms like Phishing, spam etc; Computer Abbreviations; History of Computer; and any latest development. Comments "Latest Syllabus and Pattern of IBPS PO and Clerk Exams"